Got a question, comment, or concern? 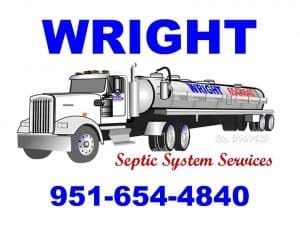 Contact Wright Septic today! From septic tank installations and repairs to commercial hydro-jet tank cleaning, you can trust our experienced technicians at Wright Septic. Moreover, our septic specialists have been delivering the highest quality septic services for over 55 years. Not to mention that by using state-of-the-art equipment and high-quality materials, we have earned our clients’ trust. Contact us today for all your septic needs. Alternatively you can also connect with us on Facebook to learn more!